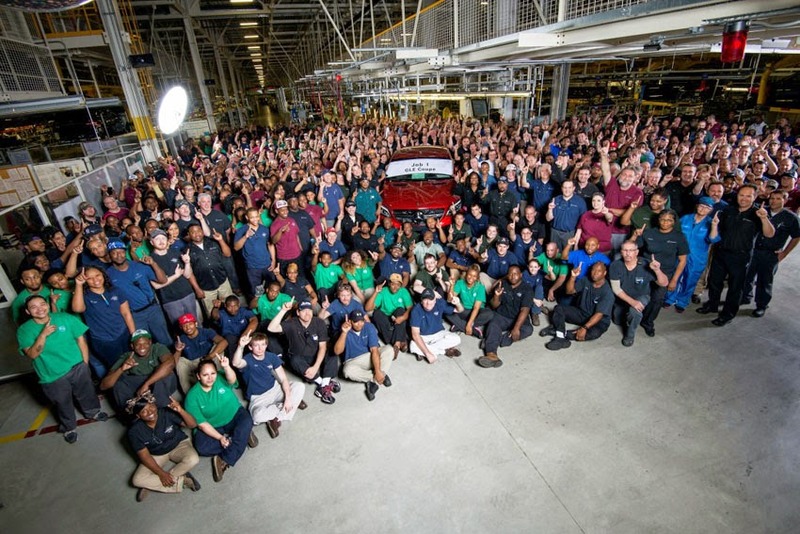 Mercedes-Benz U.S. International, Inc. (MBUSI) celebrated production of the first customer-ready all-new GLE Coupe. built up our capacities in the US. Together with the C-class, we will produce more than 300,000 vehicles in Tuscaloosa this year," said Markus Schäfer, Member of the Divisional Board of Management of Mercedes-Benz Cars, Production and Supply Chain Management, at the ceremony held to celebrate the production launch of the new model in the Mercedes-Benz plant Tuscaloosa. The event was attended by numerous guests, including Alabama Governor Robert Bentley. "For more than 20 years, we have been successfully building sport utility vehicles in Alabama for the world market. We have had three keys to our success here. First, we have an excellent partnership with the State of Alabama. Second, we are integrated in the global production network of Mercedes-Benz. And third, we have a fantastic workforce that continues to put in 100 per cent of effort every day," said Jason Hoff, President and CEO of Mercedes-Benz U.S. International, Inc.